The Teen Loft is a learning space that connects young adults, ages 10-18, with books, media, mentors, and the community. Through programs and services it is a safe place designed to inspire teens to develop their learning. Knowledgeable staff help connect teens to their academic or career related interests or to further a hobby. 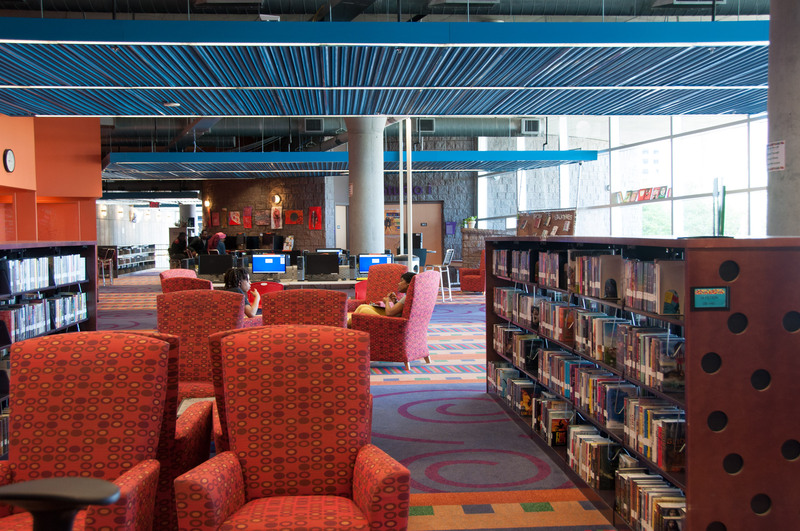 This library space for teens and preteens is a natural progression from the Spangler library located on the first floor. Youth can participate in engaging group visits during the school day while also coming to see a Children’s Theatre performance! Teens can get homework help, hang out with friends, use computers, and develop new skills. A large collection of popular fiction for young adults can be found here. Online tutoring as well as access to ebooks and online databases are additional resources for teens in the Loft.